Understanding consumers and how they behave is a primary objective of every B2C business. And one of the most popular approaches for doing so is the good old survey. Designing a survey for consumer research is fundamental to its success - your response rate, quality of data gleaned and in turn, the reliability of results all depend a good survey design. It is simply the difference between someone deciding to complete the survey attentively and in full, speeding through it without reading, generally misunderstanding or dropping-out through frustration. But there is so much to consider when designing a survey and, in today’s business world, not always the time available to dedicate to the process; speed is everything these days! So how can you speed up this process, but still ensure an effective survey design? Below, I’ve outlined my top survey design tips and referenced some useful Word survey templates to help you hit the ground running. How long should you survey be? Too short and you risk not capturing enough depth to achieve your objectives, but too long and you increase the risk of drop-out. Include only questions relevant to your objectives and bear in mind the answer context, i.e. when, where and how will your participants be responding – are they answering whilst out and about on their Smartphones, or are they at home, sitting comfortably with their laptop, a cuppa and a biscuit? Think about how much time the respondent has available to complete your survey. Mobile surveys should be shorter in length overall with succinct questions. Surveys aimed at desktop completion can both include and request more detail. The platform choice also depends on the necessary feedback type of course, i.e. reflective verses live. "The 4 key components of survey design: Length. structure. question type and wording"
Questions should flow in a logical order, starting with general questions and filtering down to specifics. To provide context about your consumers, place both standard and custom segmentation / sampling questions at the beginning, before moving on to more detailed objectives. Be careful not to become too surgical: overload the survey with too many specifics. A variety of question types can make a survey more engaging, but select an appropriate question type; don’t just use a question type because it’s available. Think back to your business objectives considering what type of output you have in mind. Avoid using too many answer grids; these can be time-consuming for participants, and don’t rely on standard yes/no questions; insight wise, they are very limited. Consider your audience when wording your questions; younger audiences will respond to a different style of language to that of older audiences. Again, bear context in mind – when are they completing the survey? This will also influence how you phrase the question. Always avoid leading questions, technical jargon and only ever ask one question at a time. Offering 30+ different Word survey templates, TemplateLAB is a good survey starting point. They offer templates to cover a variety of customer experience aspects, including a Customer Satisfaction Survey; a key component of B2C market research. What I like most about this template is the use of simple and balanced scales to capture the consumer experience, as well as the inclusion of broad behavioural, ‘scene-setting’ questions - how many times they visit, etc. The structure and question wording of this survey template concerns me. The question ‘Do you visit QRZ Family Restaurant with family or friends?’ has two potential answer options, yet is positioned as a yes/no - it would add more to the context of the customer experience feedback to know exactly who the customer was with. We also see the more standard segmentation questions left to the end of the survey – these are best placed at the beginning, particularly if you’re screening on questions like this. Hloom is another site offering a variety of different consumer survey templates – from customer satisfaction to product satisfaction, product development, online shopping and so on. Their Social Media Survey caught my attention for a number of reasons. The structure of the survey is good; it starts with contextual questions regarding social media use, platforms they access, devices they use, etc. and ends with verbatim specifics. Asking direct yes/no questions, like the one shown in this example, poses a risk of leading respondents. To avoid this, I would combine these questions into one which asks “Do any of the following apply to you?” With answer options reworded appropriately. Although Document Hub doesn’t offer as wide a variety of template options as the other sites mentioned here, I really like their Customer Service Survey template. This survey template is short, to the point and includes the relevant questions for understanding both the customer experience as well as the background to that experience. A variety of single choice questions capture the frequency of visit, products purchased, service and environmental influences as well as experience ratings. This survey length would be perfect for Smartphone completion. Their rating question seems to be asking about two different things – consistency and quality. If I were to modify this, I would opt for a scale which rates quality from poor to high, providing a neutral mid-point, or a scale which rates consistency of quality from very inconsistent to very consistent. tidyform is more of a generic template site, providing a variety of options for survey structuring, though there are a lot of blanks to fill in if you opt for one of their templates. Their Sample Client Satisfaction Questions drew my attention in terms of both simplicity and subject focus. The template shows a variety of question types including single choice, multiple choice, scale and verbatim, all used appropriately. Perhaps being picky, but I am inclined to be critical of their answer grid suggestion. The use of it in a survey like this is great, but be careful when determining your answer options – if a participant uses one of the below every 2 months or even every 6 months, they may struggle with their answer selection and you risk skewed results. Whilst Word survey templates can save you a degree of time in the design stage of the research process, it’s important to remember that templates are not the finished article. They are usually very generic and unlikely to cover all of your business or research objectives. Templates should only ever be used a starting point, they are handy for avoiding the ‘blank page syndrome’, for design idea but I’m afraid there isn’t a one-size fits all in market research survey design. "Survey design tips: Include contextual questions. maintain focus. avoid leading answer options"
Do you have any survey design tips that I haven’t mentioned here? Perhaps you know of other Word survey templates that would be a useful addition to this blog? Feel free to share your thoughts in the comments section below. 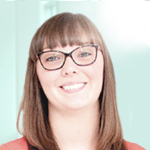 Amy has a passion for understanding consumer behaviour and has developed a strong knowledge of quantitative and qualitative research amongst B2C and B2B audiences. Her adaptability is vital for working a multitude of diverse projects, successfully providing essential insights. You can follow Amy on Twitter.